The texture was dense and all you could taste was the peanut butter cups and cake! And don’t feel bad about consuming this for breakfast. I scaled back on the sugar so it’s not excessively sweet. 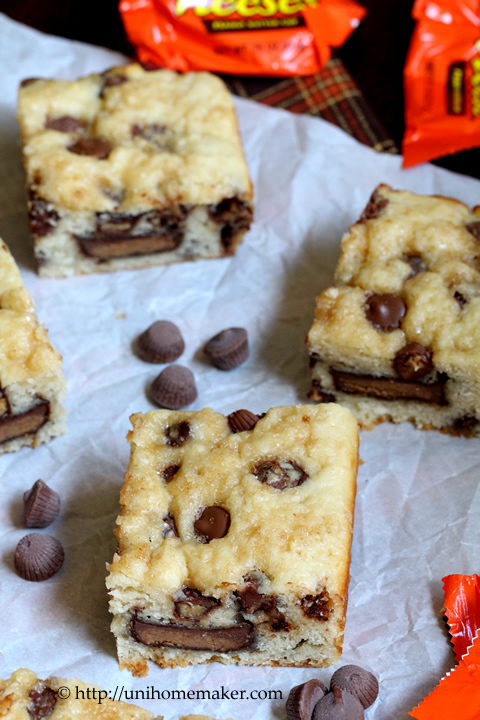 This recipe is a great way to use up any leftover chocolate Halloween candy. Enjoy! Preheat the oven to 350 degrees F. Grease a 9-inch square baking pan with non-stick baking spray. Line it with a sheet of parchment paper leaving a generous overhang for easy removal; set aside. In medium bowl whisk together flour, baking powder, salt and baking soda; set aside. Using a stand or electric mixer (or mix by hand) cream butter and sugar until fluffy. Add egg and vanilla extract. Continue to beat until combined, scraping down the sides of the bowl. Then add sour cream and milk and beat until smooth. Slowly add the dry ingredients to the wet ingredients and mix until just moistened. Batter will be thick. Fold in mini peanut butter cups. Scrape 1/3 of the batter into the prepared pan. Smooth it into an even layer. Then place the snack size peanut butter cups in an even layer and cover the remaining 2/3 of the batter over the top. 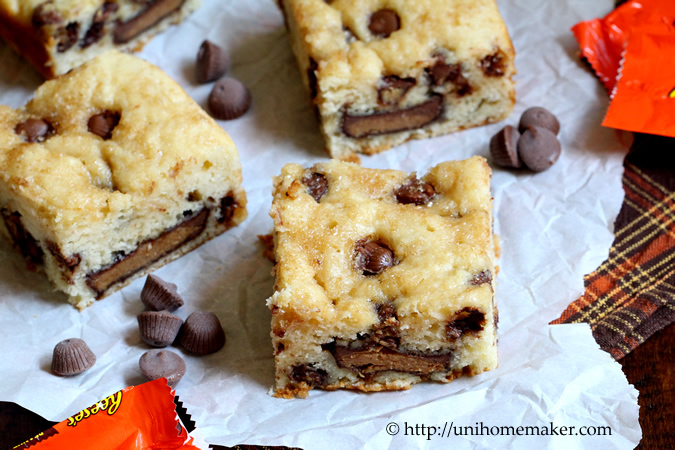 Sprinkle extra mini peanut butter cups on top along with some turbinado sugar. Bake for 30-35 minutes or until toothpick/tester inserted into the center comes out clean. Let the snack cake cool in the pan on the cooling rack completely before serving. I’ve teamed up with some of my fellow spooktacular bloggers today to bring you a list of Halloween candy inspired recipes. 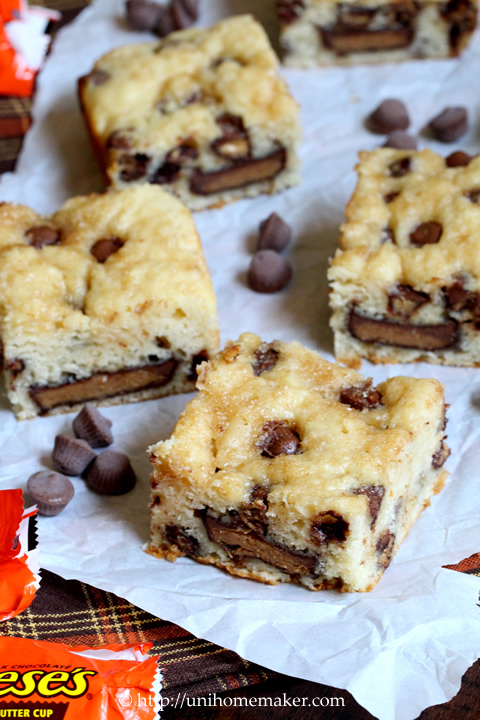 There are 9 delicious treats and I think you’ll love all of them as much as I do. 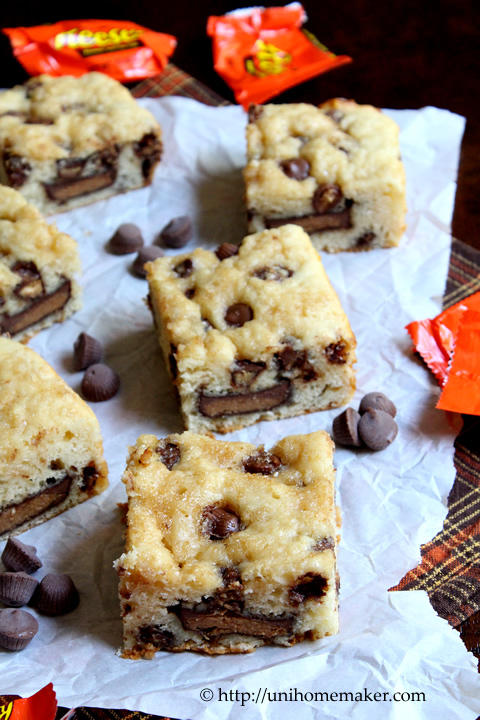 Be sure to check these scrumptious goodies out. 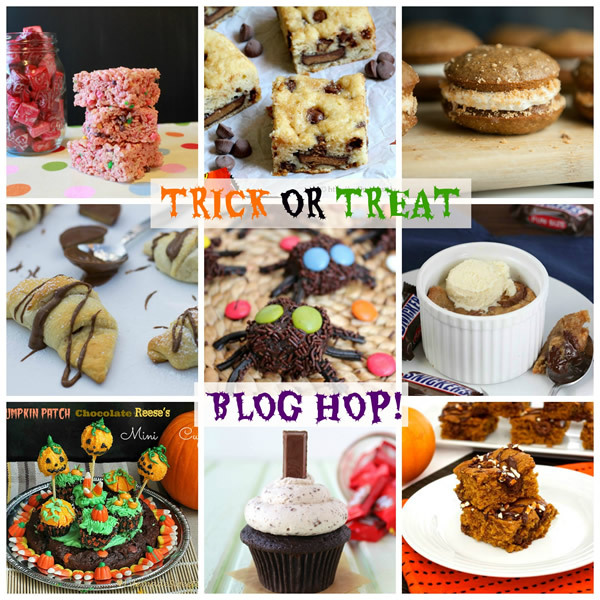 And if you’re grave diggin’ sweets then check out #TrickorTreatBlogHop2013 on Facebook, Twitter, Google+, Pinterest and Instagram. Love the peanut butter cake, so unique.. I’ve seen brownies, but not cake. Looks so good. I’m going crazy with desserts… I guess that’s the story until Dec.
Wouldn’t have any problem to have this as a breakfast cake. That looks great, gotta love having a little slice of cake as a snack! Visiting from The Saturday Night Fever Party. I firmly believe that if it goes well with coffee then it is breakfast. This little snack cake is gorgeous! Anne, I agree…perfect cake for breakfast with coffee! Pinned her to several group boards at Pinterest to share. Cannot wait to make this! Now sometimes I eat peanut butter on a piece of toast or a bagel for breakfast! 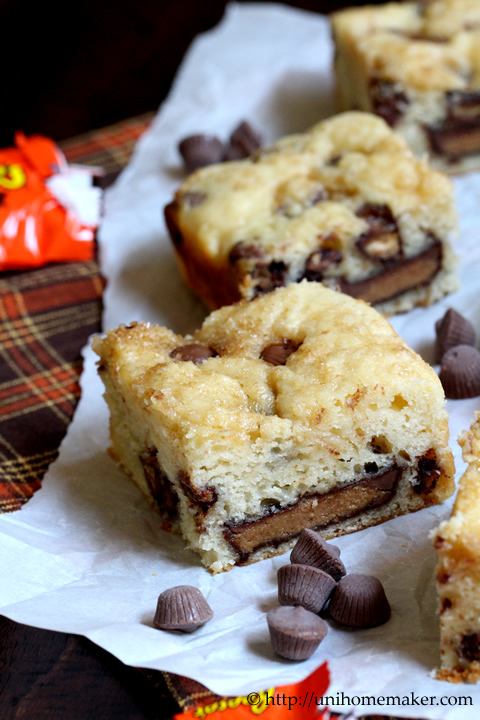 So these could be considered a breakfast item since they have peanut butter in them, right?! They look great! Pinning and sharing. Thanks for sharing at MM, Anne! Hope you have a great week! This looks absolutely delicious! I’ve featured it from our All Things Thursday Blog Hop last week and have pinned it to my ATTBH Features board on Pinterest. Hope you’ll be by to link up again tonight!